quite special clouds for sure, and a great landscape! Beautiful landscape capture. Certainly unusual looking clouds, I had to google lenticular clouds, hadn't heard that name before. Interesting clouds and beautiful landscape. Awesome capture! Love the colors and the interesting clouds. Look like lenticular clouds to me, well spotted. Those clouds are wonderful!! I love the brilliant tones in the lighting across the scene. 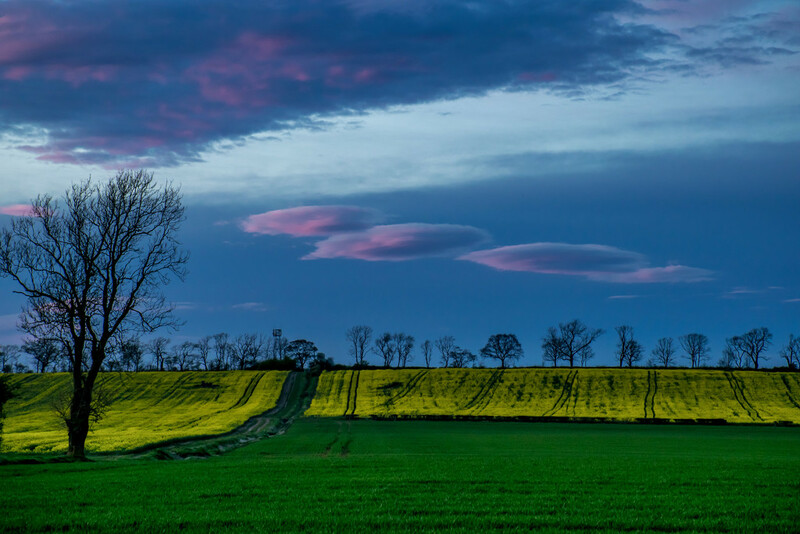 Have seen lenticular clouds in the Yorkshire Dales. Normally in the lee of mountains I think?